Mankind has been able to accomplish some pretty impressive things, but some of them were around long before we figured them out. Ants, for instance, hunt for food in a way that's basically the same as the Internet's Transmission Control Protocol (TCP), and they were doing it long before the Internet was around. It all has to do with how harvester ants gather their food. The same way that TCP will throttle data transmission if initial packets indicate little bandwidth, harvester ants will send less foragers out for food if the initial ones take too long to come back with grub. [The] rate at which harvester ants – which forage for seeds as individuals – leave the nest to search for food corresponds to food availability. A forager won't return to the nest until it finds food. If seeds are plentiful, foragers return faster, and more ants leave the nest to forage. 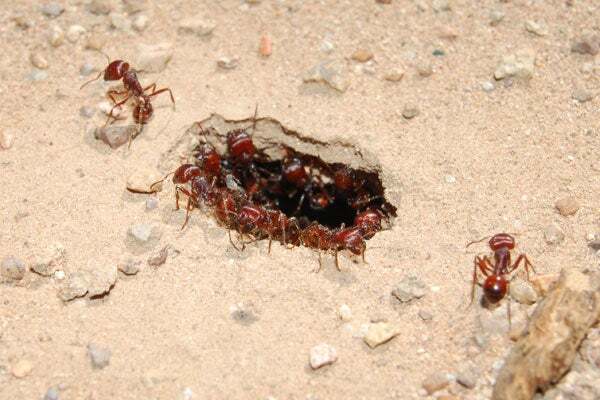 If, however, ants begin returning empty handed, the search is slowed, and perhaps called off. And that's not where the similarities end either. Ants also use TCP's slow start technique, by sending out a wave of foragers (packets) to figure out the relative amount of food (bandwidth) before scaling their numbers up or down. Likewise, the same way a connection will time out if the source stops sending packets, the ants will stop sending out new foragers if none return for 20 minutes. Balaji Prabhakar, one of the researchers behind the discovery, says that if this behavior had been uncovered pre-Internet, it might have influenced its design. Even so, this foraging process has been seriously time-tested, and there still might be things we can learn from it. In the meantime, who knows what other algorithms might already be out there, quietly waiting to be discovered. A collaboration between a Stanford ant biologist and a computer scientist has revealed that the behavior of harvester ants as they forage for food mirrors the protocols that control traffic on the Internet. Harvester ant foragers waiting inside the nest. On the surface, ants and the Internet don't seem to have much in common. But two Stanford researchers have discovered that a species of harvester ants determine how many foragers to send out of the nest in much the same way that Internet protocols discover how much bandwidth is available for the transfer of data. The researchers are calling it the "anternet." 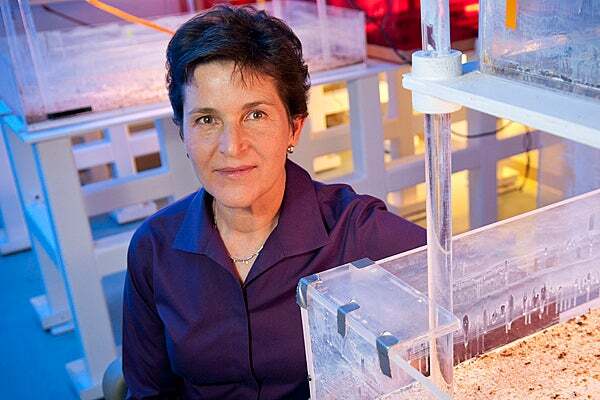 Deborah Gordon, a biology professor at Stanford, has been studying ants for more than 20 years. When she figured out how the harvester ant colonies she had been observing in Arizona decided when to send out more ants to get food, she called across campus to Balaji Prabhakar, a professor of computer science at Stanford and an expert on how files are transferred on a computer network. At first he didn't see any overlap between his and Gordon's work, but inspiration would soon strike. "The next day it occurred to me, 'Oh wait, this is almost the same as how [Internet] protocols discover how much bandwidth is available for transferring a file!'" Prabhakar said. "The algorithm the ants were using to discover how much food there is available is essentially the same as that used in the Transmission Control Protocol." Transmission Control Protocol, or TCP, is an algorithm that manages data congestion on the Internet, and as such was integral in allowing the early web to scale up from a few dozen nodes to the billions in use today. Here's how it works: As a source, A, transfers a file to a destination, B, the file is broken into numbered packets. When B receives each packet, it sends an acknowledgment, or an ack, to A, that the packet arrived. Biologist Deborah Gordon has been studying ants for more than 20 years. Prabhakar wrote an ant algorithm to predict foraging behavior depending on the amount of food – i.e., bandwidth – available. Gordon's experiments manipulate the rate of forager return. Working with Stanford student Katie Dektar, they found that the TCP-influenced algorithm almost exactly matched the ant behavior found in Gordon's experiments. There are 11,000 species of ants, living in every habitat and dealing with every type of ecological problem, Gordon said. "Ants have evolved ways of doing things that we haven't thought up, but could apply in computer systems. Computationally speaking, each ant has limited capabilities, but the collective can perform complex tasks. "So ant algorithms have to be simple, distributed and scalable – the very qualities that we need in large engineered distributed systems," she said. "I think as we start understanding more about how species of ants regulate their behavior, we'll find many more useful applications for network algorithms." The work is published in the Aug. 23 issue of PLoS Computational Biology.